Nerd Alert: I am a big fan of Game of Thrones. Yes, it’s true. I’m a fantasy nerd. And I love Game of Thrones. I’ve read the books twice. And right now, I’m feeling some serious anger at George R. R. Martin because he hasn’t published the next in the series. Currently, I am re-watching the HBO series so that I can binge-watch Season 7 with it all fresh in my mind. There are so many key characters in Game of Thrones (GOT) and I like them each for different reasons because of their emotional complexity. There is one character in particular who has a lot to teach us about business. He is extremely intelligent and well read, and he possesses a quick, biting wit. He would be a valued member of his vicious family was it not for the fact that he is a dwarf, which his family constantly holds against him. Those of you who are familiar with the series will know that I am describing Tyrion Lannister. He’s a brilliant negotiator, which is a necessary trait for his survival since he makes a lot of mistakes that he has to overcome to stay alive. His journey reminds me that entrepreneurship and business is a journey that has large ups and downs. All of us can learn from Tyrion’s resiliency and tenacity. Here are the key takeaways I’ve learned about business from this wonderfully-flawed, but endearing character. In one scene, Tyrion is visiting The Wall in the far north of Westeros. Sworn brother of the Night’s Watch Jon Snow asks Tyrion why he reads so much. Tyrion always has a book in front of him when he isn’t drinking, whoring, or verbally sparring with someone (I told you he was flawed). He knows that the more he learns, the more he can stay ahead of others who have power, especially since he doesn’t have the size or power of many of the other characters. In business, when we stop learning, we stop growing and our company can fall behind as a result. There are always new things to learn, tools to master, and techniques to adapt. The most successful entrepreneurs in the world know this. Lesson 1: Like Tyrion, continue to search for new knowledge that will give the competitive advantage. There is a powerful scene between Varys and Tyrion. Varys is a member of the King’s small council and a masterful politician. He does all of his work in the shadows, leveraging knowledge and secrets about people that he gathers from his large network of spies. Varys comes to speak with Tyrion after a cunning trick has been played by the dwarf on members of the small council to discover which of them leaks secrets to Queen Regent Cersei Lannister. “So power is a mummer’s trick?” Tyrion asks. In this conversation, Varys is essentially telling Tyrion that a person doesn’t need to have armies or wealth or moral authority to be powerful if certain people believe in you. As the series progresses, Tyrion proves that he “casts a very large shadow” again and again because he outwits so many people. Similarly, a business does not have to be large to be a remarkable company that leads their industry through bold moves, innovation, and thought leadership. Lesson 2: Like Tyrion, a small business can make a big impact. In a conversation with Tyrion’s quasi-girlfriend, Shae, she tries to remember the name of a prostitute who warned her about a wily character named Peter Baelish. And while this is a seemingly an off-the-cuff conversation, it reveals more of Tyrion’s genius. While he is from a wealthy family, he understands the power that comes from developing a wide network of people who are from all walks of life. Rather than expecting people to help him, or believing that people will assist him out of the kindness in their heart, he learns more about who they are and what they value. In this way, Tyrion is able to creatively respond to people. He helps them to get what they want. In turn, the people in his network help Tyrion achieve his goals. Now, remember, Tyrion has many flaws and often manipulates people in underhanded ways. So I am not suggesting you take the exact approach that he does in the GOT series. That said, we can take still a lesson from him and apply them to business. 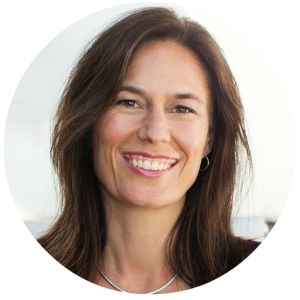 In an honest and authentic way, entrepreneurs, leaders, and other professionals will have great success when they work to build a large network of people. The key is always to ask others about their story and what they want to achieve. And then working to help them to reach their goals. 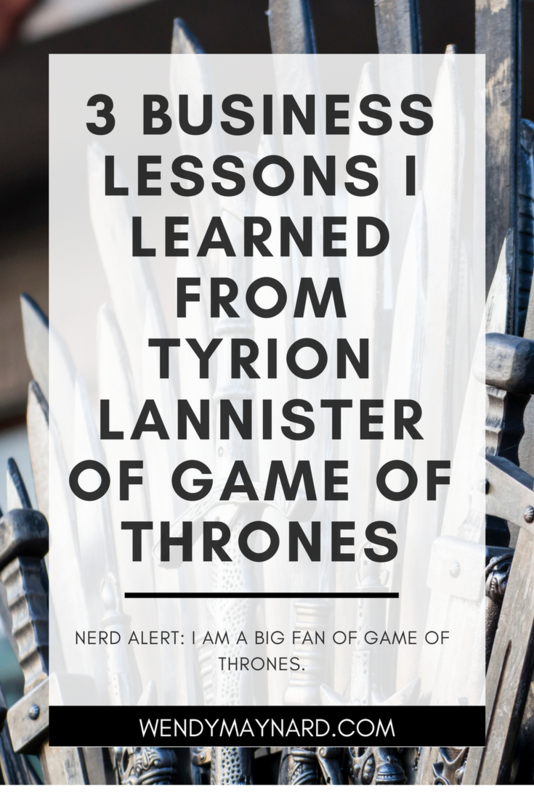 Lesson 3: Like Tyrion, business owners and professionals will succeed when they work to know as many people as they can and help them realize their ambitions. Want to learn more? You can access my free masterclass using the button below!